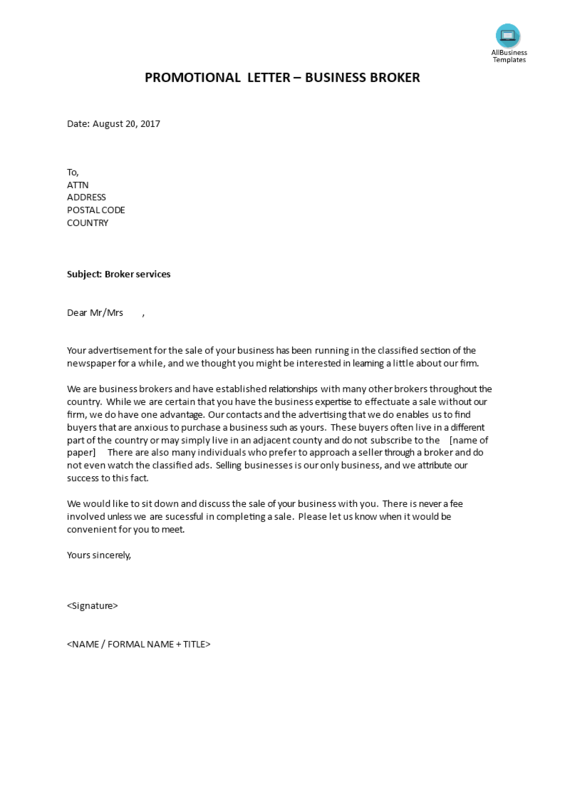 How to draft a professional Sales Letter to promote your business as a Business Broker? Download this Sales letter template now! Therefore we invite you to check out and download our basic or advanced sales templates. They are intuitive and in several kinds of formats, such as PDF, WORD, etc. After downloading and filling in the blanks, you can easily customize e.g. visuals, typography, details, and appearance of your Sales Letter Business Broker. Download this Sales template now! If you need a great sales letter and you can’t do it on your own you should use letter templates. Our Sales Letter templates guarantee that you will save time, cost and efforts and enables you to reach the next level of success and to grow your broker business!